Perhaps the best way to define the issue and the internal (within the DEA) controversy that it created is to simply allow the DEA (then known as the Bureau of Narcotics) own internal memo’s to speak for themselves. 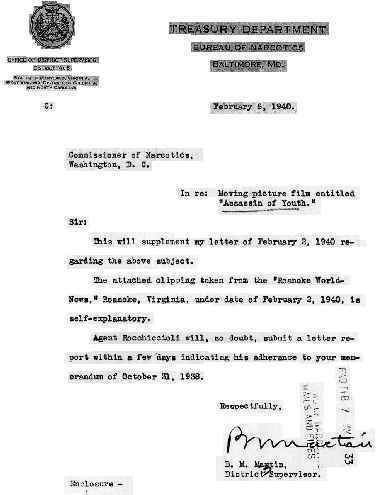 This will supplement my letter of February 2, 1940 regarding the above subject. The attached clipping taken from the “Roanoke World News,” Roanoke, Virginia, under date of February 2, 1940, is self-explanatory.